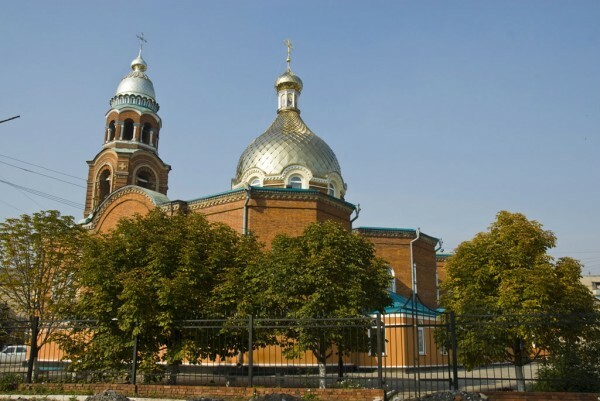 Moscow, June 17, Interfax - The Ukrainian Army shelled St. Alexander Cathedral and its nearby territories in Slavyansk. “Yesterday after the evening service, the shelling was resumed from Karachun mountain. Our Cathedral of St. Alexander of Neva is located right under it. They certainly aimed at the church. The Mayak store is located in several meters from it. The shell touched its roof, a corner of the building was destroyed. Many trees were damaged at the railway station, cables were torn. We can’t understand what the shooters wanted and what they tried to achieve,” dean of St. Alexander District, Archpriest Nikolay Fomenko was cited as saying by the Slavyansk Diocese press service. According to him, people were not injured. The shelling wave tore the lock in the roof of the bell tower. “The store is only a trade point, there are no headquarters or posts of home guards around us. I am sure that they aimed at the church: the shell went right between the central dome and bell tower. It is a new miracle! Alexander of Neva saved out shrine,” the priest said.